1 Nov Filed under Uncategorized. 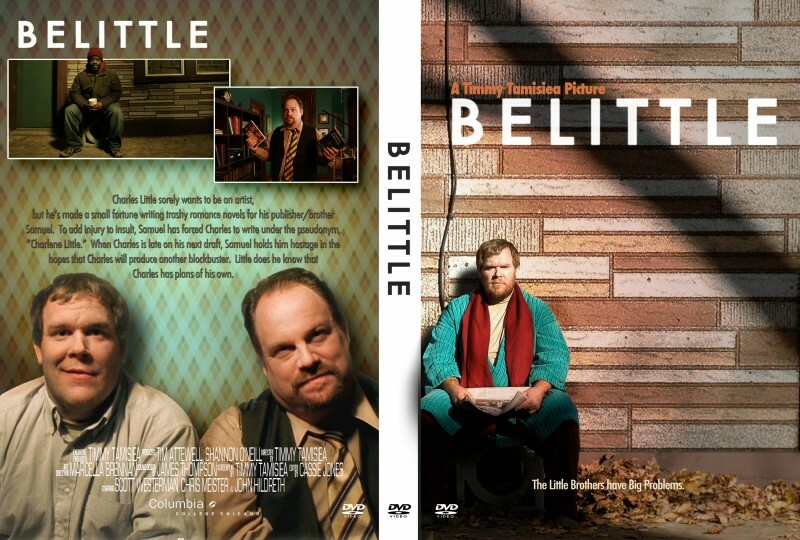 Tagged Belittle, Columbia, DVD, Film. Bookmark the permalink. Post a comment. Leave a Trackback (URL). Megan knows that I’ve been working tirelessly to get my films done. She’s played such a huge part in the process. Still, every film I’ve made at Columbia is in some state of unfisnishedness. It’s a word. Look it up. So, over the past 6 months, I’ve been working with my editor John Sawyer to get them to a point at which I can do film festival submissions. Well, I stopped by John’s last night (Halloween) to take a look at the work he’d done since I was gone doing wedding activities. Well, he made a DVD sleeve for the film. And it’s awesome. And I’m presenting it to you today. Who wouldn’t want to see this film? This makes me very excited!